Sean and Lon discuss their recent interview with Sasquatch Chronicles: Show Notes w/ Shannon LeGro, the upcoming Paranormal Round Table event in Alburtis, PA, recent 'Phantoms & Monsters' reports and Leonard Nimoy. 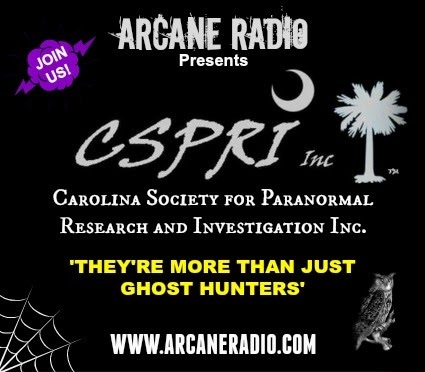 In hour two, they are joined by paranormal researcher Dennis Carroll of the Carolina Society for Paranormal Research and Investigation Inc.
About Dennis Carroll: Dennis W. Carroll has 40+ years in the field of study and investigation pertaining to the paranormal and the supernatural, with many personal paranormal experiences. He is a researcher and investigator of the occult and the supernatural. He also is a scholar of the Bible, religion and demonology. Dennis is a well-known authority on folklore, legends, superstitions, cryptozoology and the occult. He is a published writer/author and is currently at work on a series of adventure novels based on supernatural events. He is a speaker and does lectures and presentations on culture, folklore, myths, and legends. Investigator, writer, demonology consultant. CSPRI Inc. Assistant Director, Head of Investigations and Certified Paranormal Investigator (CPI). Dennis is the Co-Founder of CSPRI Inc. He also acts as the Assistant Director, Demonology Consultant, and Head of Investigations.